Vote ’98 AAI * PAC * NAABA button. 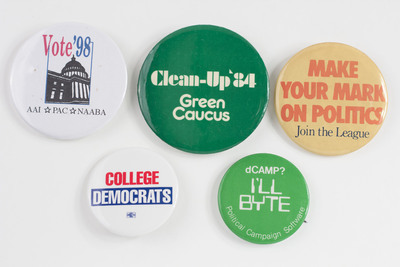 Clean-Up ’84 Green Caucus button. Make Your Mark on Politics Join the League button. dCAMP? I’ll Byte Political Campaign Software button.